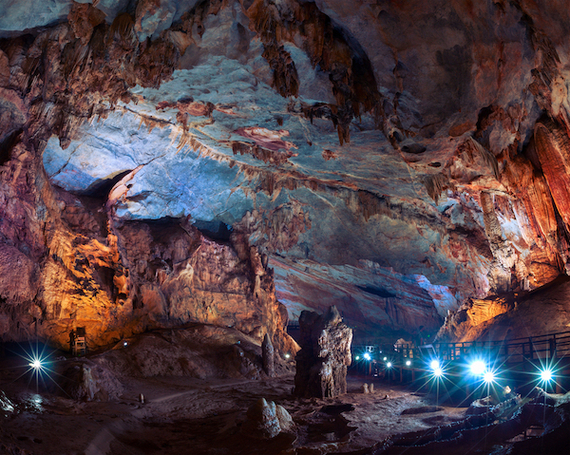 The proverbial underworld isn't always a dark, dank place--these 11 caves hidden in jungles, lakes and mountains all over the world are proof enough. Check out these far-flung corners, from Scotland to Malaysia to New Mexico. The Batu Caves draw you in to their 400-million-year-old caverns with an entrance shrine and towering statue of the Hindu deity Murugan. Inside, you'll find scores of paintings and more statues celebrating Hinduism. The cave is easy to get to from Kuala Lumpur via train, but getting into the caves is another matter--you'll have to climb 272 steps first. Yes, Iceland's Svínafellsjökull glacier sounds like something from a fantasy novel (or it may just look impossible to pronounce), but inside, it's otherworldly all the same. 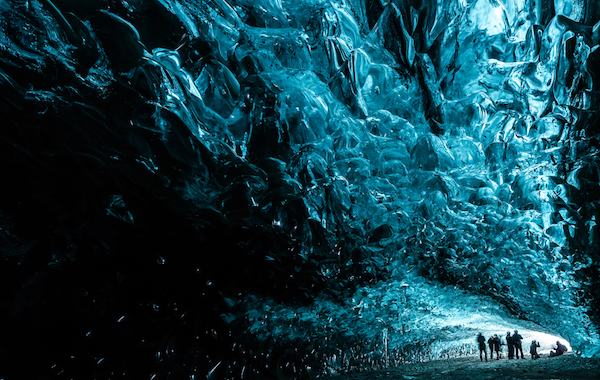 Stunning, domed, translucent-blue ice walls were formed by dripping rain and meltwater, and the weight of all that ice forced out any air bubbles; as a result, light streams into the cave, creating a beautifully eerie look. Technically, the Benagil Sea Cave is a grotto, but it's stunning none-the-less. You can only get there by water, which is half the fun--boats and kayaks are the most popular way, but you can take a SUP paddleboard tour to this attraction as well. Once inside, relax on the soft, beautiful beach and get a tan while watching the clouds pass over the grotto's naturally formed skylight. Just make sure you plan to head in (and out) during low tide. See the world's 10 most jaw-dropping waterfalls. 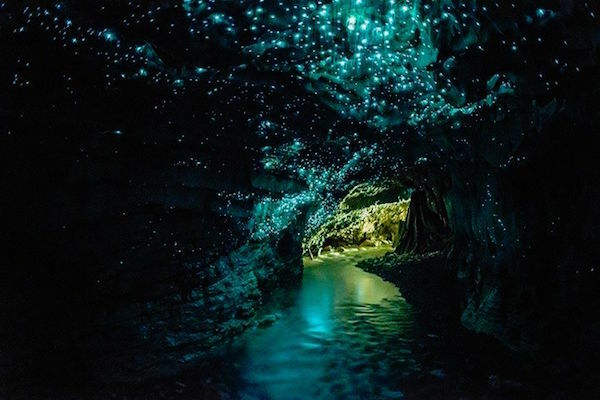 As if New Zealand wasn't pretty enough, it's also home to one of the world's coolest natural phenomenons--the Waitomo Glowworm Caves. 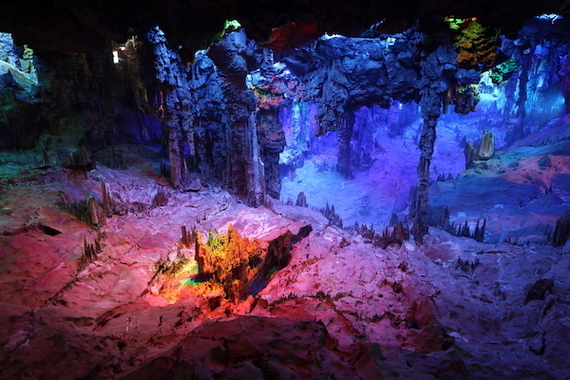 This underground cavern is lit by millions of phosphorescent insects, giving it an ethereal appearance. 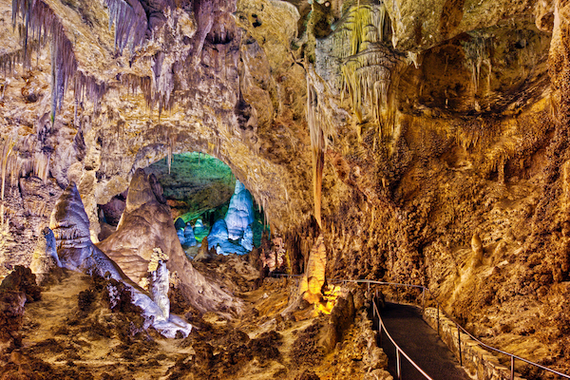 The cave and its delicate ecosystem are well protected, so a limited number of people are allowed to tour each day. But if you manage to snag a coveted spot, you'll get to explore all three levels and the glowworm grotto. You'll know it when you've reached the Tham Lot Cave in Thailand's Mae Hong Son province--the entrance is five stories high. 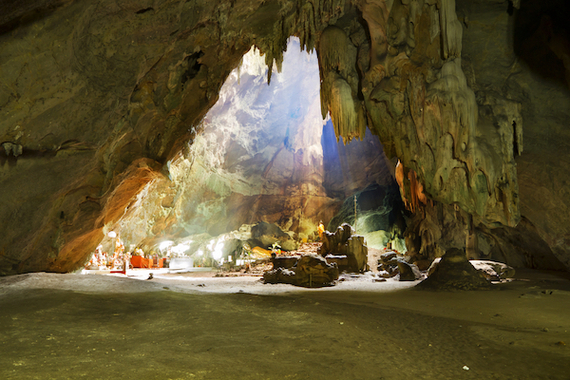 As you travel deeper into the cave--on foot or by kayak along the Nam Lang River--you'll pass through wide caverns with ceilings covered in stalactites and flowstones (stalactites and stalagmites that have grown together). Travel deep enough, and you'll also discover carved, teakwood coffins that date back almost two-thousand years. Six-thousand-plus years of crashing waves have created a stunning sight in the middle of Chile's Lake General Carrera. 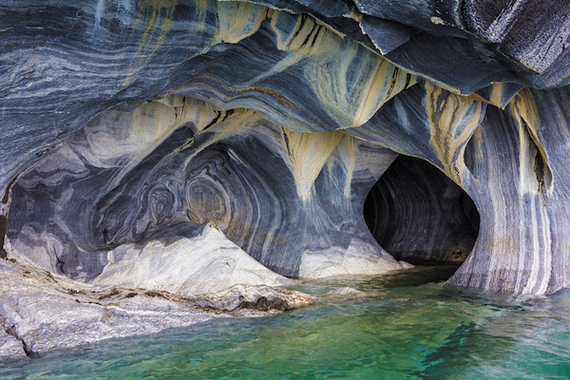 A remote glacial cave rises high above the water, but what's beneath it is the main draw: marbled chambers that arc gracefully above crystal waters. Explore the caves by boat, or kayak, in good weather. Want to see the stars in all their glory? Here's where to go. China's Reed Flute Cave is a naturally formed beauty, so named for the reeds that grow at its entrance. But it's the manmade aspect that makes this cave so spectacular. Multicolored lights hidden in the cave's cracks and crevices cast a dramatic glow, turning it into a riotous, colorful work of art. Refugees fleeing Japanese forces during WWII are credited with discovering this cave, but keep your eyes peeled for signs of previous explorers--some hidden ink writings thought to be travelogues and poems date back to 792 A.D., during the Tang Dynasty. What's more than 150,000 years old and 29 feet tall? The Cleopatra Needle, a massive dripstone needle hidden within the Cango Caves. 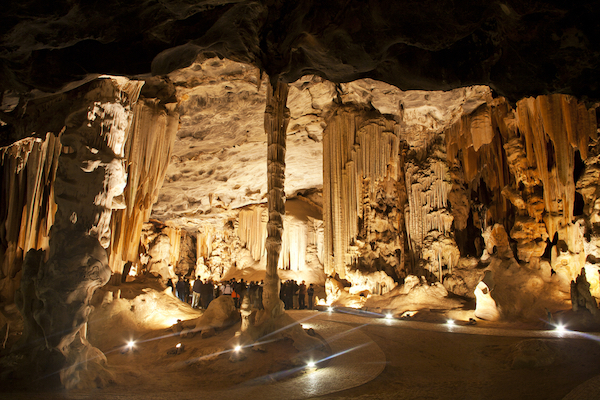 This stunning formation tucked beneath South Africa's Swartberg Mountains is made of illuminated dripstone caverns and vast halls that were first discovered during prehistoric times. Serious adventurers can tackle the Devil's Chimney, a route that challenges cavers with extremely tight caverns, twists and turns. 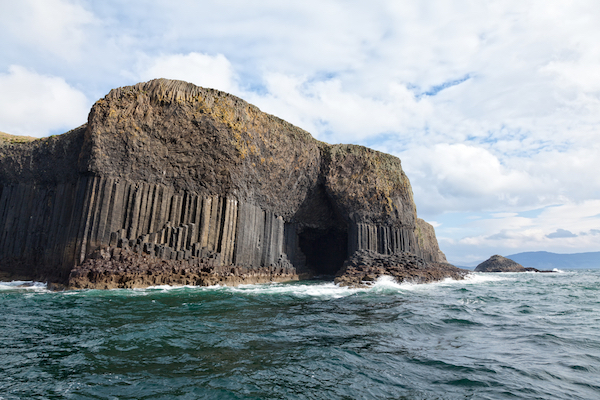 According to legend, Fingal Cave marks the end of a bridge that once stretched to the Irish Giant's Causeway, built by Irish giant Finn McCool so he could face his Scottish rival, Benadonner. The reality is almost as unbelievable: the sea cave's perplexingly uniform columns are naturally formed, created by an ancient lava flow, dating back some 60-million years. 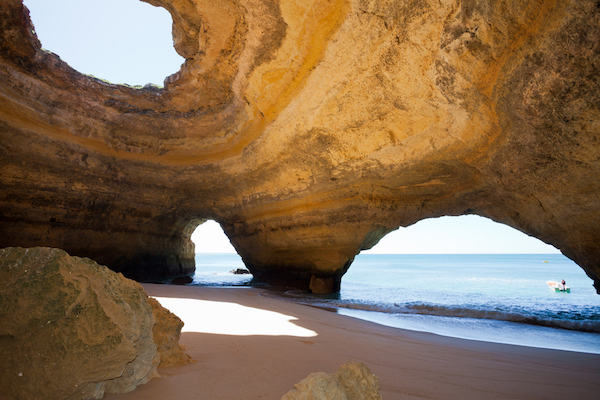 The cave's only reachable by boat, but one you're inside, you'll need to hike your way through--you'll also see why it's also called the 'Cave of Melody', thanks to the eerie sounds made by echoing waves. Travel blogger tips on how to travel off the beaten path anywhere. Clocking in at five miles long, some of Son Doong's caverns are large enough to park an airplane. It also has its own climate, a river, a jungle, and plenty of sunlight for anyone bold enough find it. This cave isn't for the faint of heart--you need to rappel down 250-plus-feet to enter, and likely camp out for at least a night to conquer most of this huge cave system. It took nearly six-million years to form what Will Rogers once called the "Grand Canyon with a roof on it." The 100+ limestone caves that make up the Carlsbad Caverns live up to that nickname, sprawling beneath the Guadalupe Mountains in New Mexico. And they're as easy to navigate as they are gorgeous. Trails are paved and have handrails, and guides are on hand for tours. Even cooler: from late Spring to early Fall, thousand of bats fly out from the entrance to forage for food.